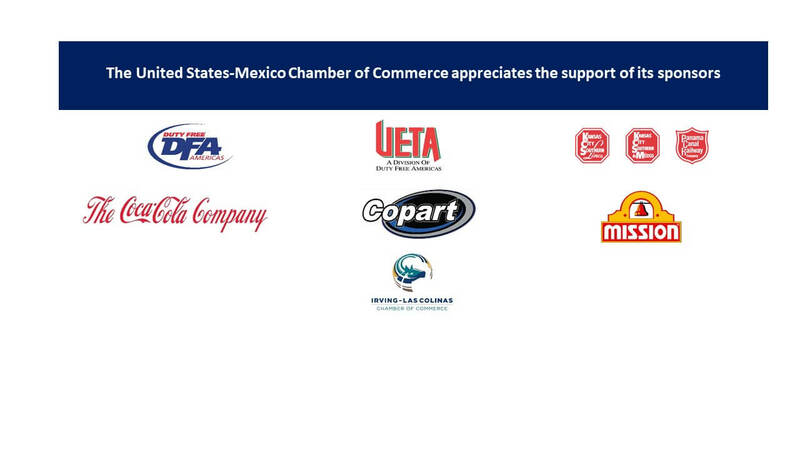 Al Zapanta is President and CEO of the United States-Mexico Chamber of Commerce, which operates 9 regional offices in the United States and 8 in Mexico. Mr. Zapanta is also Founder and Chief Executive Office of PAZ Resources. Previously, he was Chief Executive Officer of PAZ Energy, a single purpose entity that participated in the DFW International Airport natural gas project. He worked in upstream operations of Atlantic Richfield Co. (ARCO Oil & Gas), where he was responsible for negotiations with U.S. and Mexican oil companies (PEMEX). Mr. Zapanta has held numerous Presidential appointments, including White House Fellow, Senate-confirmed Assistant Secretary of the Interior for Management and Administration, U.S. State Department Advisory Committee on International Trade Technology and Development, and private sector delegate to the U.S.-Mexico Partnership for Prosperity. Donald H. Rumsfeld, appointed Gen. Zapanta as Chairman of the Reserve Forces Policy Board (RFPB). Gen. Zapanta’s military record includes the award of the Silver Star, 5 Bronze Stars for Valor, Purple Heart, and 30 other awards during the Vietnam War. He was awarded the Joint Service Commendation Medal for Desert Shield/Desert Storm, Restore Hope in Somalia and Restore Democracy in Haiti. He serves on numerous boards, including President Gerald R. Ford Foundation and Museum; Senior Fellow, Center for Western Hemisphere Defense Studies; Chairman, and Hispanic War Veterans of America. In 2018 he was elected to serve in the Council of the City of Irving, Texas for a period of 3 years. 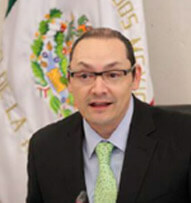 José Zozaya was appointed President and Executive Representative for Kansas City Southern de México (KCSM) in 2006. During his eight years in the railroad sector he has reached significant achievements for the company and for the industry in Mexico. José Zozaya has over 40 years of experience in law and government relations, as well as mergers and acquisitions that have been fundamental for the construction of strategic relations between KCSM and the three levels of Government in the country. Under his leadership, the trackage rights agreement was achieved after a 12-year process which has brought major integration between the main railroad companies. 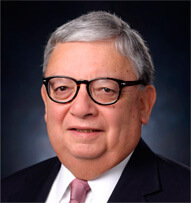 Prior to KCSM, he served as legal and government relations director for ExxonMobil Mexico for nine years. 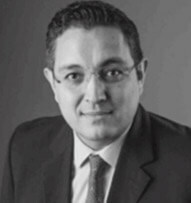 Mr. Zozaya was National President of American Chamber Mexico from 2010 to 2012, becoming the first non-American to hold this important position. In April 2013 he was appointed President of the Mexican Railroad Association (AMF) and is currently a Councilman. 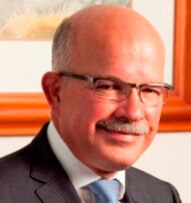 In 2014 he was elected President of the Mexican Council of Transport (Consejo Mexicano del Transporte, CMET). Rick Stopfer was elected as Mayor in May 2017. 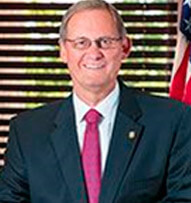 Stopfer was originally elected as a councilmember to the Irving City Council in 1998 and served through 2012; he was appointed Deputy Mayor Pro-Tem in 2007-2008 and Mayor Pro Tem 2008-2009. In 2013, Stopfer was appointed as the Irving representative to the DART Board by the City Council. While on the Board, he has served as Chair of DART Revenue and Public Relations Committee, Vice-Chair of DART Rail Program Committee, a member of the DART Administrative Committee and the DART Audit Committee. He is also a member of the Trinity Railway Express Advisory Committee, the Transit Oriented Development Committee and an alternate member on the Regional Transportation Council. 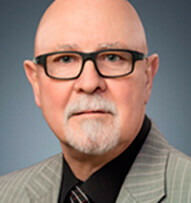 Stopfer has an extensive history of serving on various municipal boards and government agencies. Stopfer is a retired automotive consultant. Mr. Ricardo Rojas is currently working as a trade and economic advisor for the Trade and NAFTA Office at the Embassy of Mexico in Washington, DC., conducting analysis on trade related areas like market access, agriculture, monitoring and elaborating economic reports on the bilateral trade relationship, and has participated in several bilateral cooperation forums, among others. Mr. Rojas began his career in the public service in the Office for Market Access for Industrial and Agricultural Goods, at the Ministry of the Economy (SECOFI). He has held several positions at the Trade and NAFTA Office. Mr. Rojas earned his bachelor’s degree in Economics from the Autonomous University of Nuevo León, in Mexico and has a Master’s degree in Applied Economics at Johns Hopkins University. Mr. Khabayan joined the Department of Foreign Affairs, Trade and Development in 2003 and is the Consul General of Canada (Acting) at the Consulate General of Canada in Dallas. He is responsible for the promotion of Canadian interests in the areas of political and economic relations, investment and trade, public affairs and consular affairs in the five-state territory of Arkansas, Louisiana, New Mexico, Oklahoma and Texas. He was most recently posted at the Embassy in Washington, DC, from August 2011 until July 2015, where he was responsible for government procurement, trade in non-agricultural goods, trade remedies and softwood lumber. In Ottawa he worked in the Legal Branch of the Department on issues ranging from international criminal and treaty obligations to trade negotiations and WTO disputes. He was a lead negotiator on behalf of Canada in the Dispute Settlement Understanding negotiations at the WTO, a negotiator and legal counsel in the Canada – European Union Comprehensive Economic Trade Agreement (CETA) negotiations. His previous postings were in New York City (UN) and Geneva (WTO). Before joining the Department, Mr. Khabayan worked as a lawyer in private practice in Toronto for a number of years, specializing in commercial and insurance litigation. He has a Bachelor of Arts (Political Science) degree from York University and a Bachelor of Laws degree from the University of Toronto. Gilberto García Vazquez has more than 15 years of professional experience working for public, private and academic organizations. In the academia, Gilberto worked at CIDE and at the Ash Center at Harvard. In the public sector, Gilberto worked as an advisor to the CEO at Pemex and as an advisor for the Science and Technology Commission in the Mexican Senate. In the private sector, Gilberto worked for GE as Energy Policy Leader for Latin America, and COO for PointVerde, an energy efficiency startup. 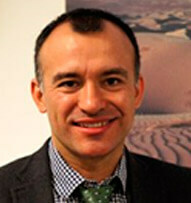 Currently, Gilberto works for the transition team of Mexico’s President-Elect Andrés Manuel Lópezs Obrador in the Ministry of Economy (Secretaría de Economía). Francisco de la Torre Galindo is the Consul General of Mexico in Dallas, Texas as of June 1st, 2016. He previously served as the Executive Director of the Institute for Mexicans Abroad at Mexico’s Ministry of foreign Affairs, and has been a member of the Mexican Foreign Service since 1998. He has served as Director of Legal Affairs at the Ministry’s Directorate General for the Foreign Service and also as Director for South America at the Under- Secretariat for Latin America and the Caribbean. His diplomatic experience includes having been in charge of the Political and Economic Affairs, Cooperation and Protection for Mexican citizens abroad at the Mexican Embassies in Brazil and Argentina. Throughout his career he has participated in seminars and related forums with international, diplomatic and consular issues in more than 25 cities in the United States, and Mexico, Argentina, Brazil, Canada, Colombia, Paraguay, Chile, Venezuela, Great Britain , Ireland, Indonesia and Singapore. 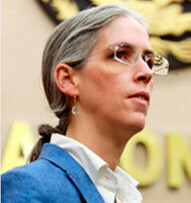 Pamela San Martín has been an Electoral Councilor at the National Electoral Institute since 2014. She holds a bachelor degree in Law by Escuela Libre de Derecho a prestigious law school in Mexico. Her professional life has been dedicated to the defense of human rights, in and outside the electoral field. At the Federal District’s Human Rights Commission, she was responsible for the attention to human rights violations’ victims, as well as the investigation of complaints and the elaboration and review of recommendations issued by the same institution. She held several positions in the specialized area of law enforcement, where she was in charge of notable judicial investigations and, between 2009 and 2010, she was the Head of that Office. She was named Electoral Councilor in 2014, and in her current position, she has been a member of various committees of the General Council, highlighting her work in coordinating the work of the Institute in the development of the first local elections under the new national model, in her capacity as Chair of the Follow-up Commission to the Local Electoral Processes (on three occasions). Also, during her term as Chair of the Commission of Prerogatives and Political Parties, the first election of political parties’ leaders, organized by the electoral authority, was carried out, and the Regulation that governs the political parties’ prerogatives in radio and television, was reformed. In the 2018 Presidential Electoral Process, she was a member of the Commissions of Training and Electoral Organization, of Oversight and of Presidential Debates, and is currently a member of the Commissions of Oversight, Electoral Training and Civic Education, and chairs the Temporary Committee for Follow-up to the 2018-2019 Local Electoral Processes. Bowman leads a 1,854 member business organization that includes more than 30 Fortune 1000 companies. She is responsible for promoting economic growth in Irving for its citizens and businesses. 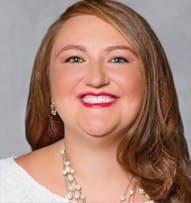 Bowman served as the Chamber’s Chief Development Officer for four years raising more than $15 million in private investment. She helped raise $3.2 million for One Irving, a private sector initiative with the goal of increasing test scores in math and science for college-bound and post-secondary students, while enhancing the public perception of Irving’s quality schools. 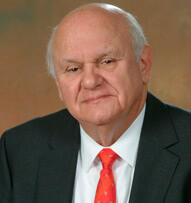 Bowman serves on the Board of Directors for the Texas Association of Business and is a graduate of Baylor University. Stuart is president and CEO of American Brownfields Corporation, successor to his initial entities involved in brownfield redevelopment since 1993. In 2012, American Brownfields acquired from the US government the former Chance Vought Aircraft/LTV Aerospace facility in Dallas built by the US Navy in 1941 to produce bombs, aircraft and missiles for World War II, which production until April 2014. As managing member of American Brownfield MCIC. LLC, began a renovation and re¬leasing effort of the almost 5 million square ft facility containing manufacturing, test labs, stress labs, office, warehouse, operations and utilities space. American Brownfields sold its interest in summer 2017. From 2001-2009, American Brownfields handled all due diligence, acquisition, financing, remediation, and sale of several brownfield redevelopment projects in north Texas. Prior to returning to Dallas in 1993, Stuart served of counsel to The Brock Group in Washington, D.C. Independently, he represented GE Capital in the two largest cash sales of bulk real estate by the RTC. In 1988-1989 Stuart was the Deputy Director for Assets, Operations and Liquidations Division at the Federal Savings and Loan Insurance Corporation (FSLIC), Washington, D.C. He was responsible for managing $ 17 billion in assetsFrom 1986-1988 Stuart worked at his current business in Dallas, following six years in commercial banking, originating, underwriting and closing over $1 billion in construction loans in southern US. Dr. Molina has served as the Vice President/General Counsel at four large oil and gas companies—ARCO Oil and Gas Company; Vastar Resources, Inc.: Benton Oil and Gas Company; and, the Oman Oil Company, the national oil company of the Sultanate of Oman, located in Muscat, Oman. During his time at ARCO he was also the Chief Counsel for ARCO Latin America, residing in Caracas, Venezuela. His oil and gas legal practice has taken him all over the world. He spent the last ten years of his legal practice as a senior oil and gas lawyer with two prominent law firms— Patton Boggs, the largest lobbying firm in the US, and Dentons, which is the largest law firm in the world. Texas Governor Perry appointed him a Texas Member of the Interstate Oil and Gas Compact Commission, where he served as Chair of the International Affiliate Committee until the end of his term limit. Molina continues with the IOGCC, and serves on the Legal and Regulatory Affairs Committee. He also served as a Senior Advisor to the Bilateral US Arab Chamber of Commerce in Houston, and as a board member of the US Mexico Chamber of Commerce in Washington D.C. He joined UTD in January 2016. In 2013, he was confirmed by the Senate as National Commissioner at the Energy Regulatory Commission (CRE). On November 2017, Mr. Zuñiga was re-appointed for a 7 year period. 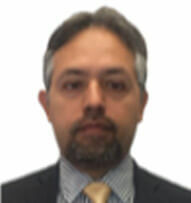 Mr. Zuñiga has more than 17 years of experience in the public sector. 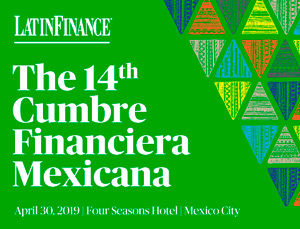 He has held leadership, positions in regulation, competition, and energy areas at the Energy Ministry, Mexican Petroleum (Pemex), Federal Commission of Electricity (CFE), and the Federal Competition Commission (CFC). In the academic field, he has been a professor in subjects related to economics law and energy. at the ITAM School of Law and a lecturer in Regulatory Policy at the Graduate School of Public Management of the Instituto Teclógico de Monterrey in Mexico City. He has written several articles about Energy Law for books and magazines specialized in the field. Mr. Zuñiga has been recognized as one of the 100 most influential leaders of the energy industry in Mexico by both, Petróleo & Energía Business Magazine and The Oil & Gas Magazine. George is principal consultant at geos, providing services in oil & gas operations and regulatory affairs, community relations and stakeholder engagement, and corporate governance and board services, to industry, public sector, and not-for-profit organizations. He is President-elect of APEGA (Association of Professional Engineers and Geoscientists of Alberta) and former President of Geoscientists Canada, Director of CSUR (Canadian Society for Unconventional Resources), delivers short courses on the oil & gas sector, and affiliated with UCalgary’s Haskayne School of Business and School of Public Policy. George was a Board Member with the ERCB and Hearing Commissioner with AER (2008-2013). He conducted numerous public hearings, and worked with delegations worldwide on appropriate regulation of the oil & gas sector. He has served on the governing boards of his professional associations—Canadian Society of Petroleum Geologists, American Association of Petroleum Geologists. 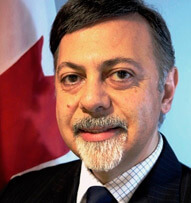 In 2000-2004 he was VP Research at the Canadian Energy Research Institute. 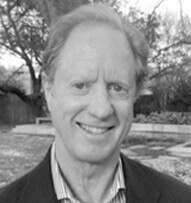 For over 10 years prior to 2004, George provided management and technical consulting services to the upstream oil & gas industry, various levels of government, and investors and financial institutions worldwide; variously through GEOS Energy Consulting, Cambridge Energy Research Associates, and the Ziff Energy Group. George worked for over 20 years in the upstream oil & gas sector. He has considerable experience in exploration, production operations, strategic planning, and economics, gained in Canada, USA and a variety of international arenas. George has a BSc [London], MSc [McMaster], and graduated from both MIT Sloan School of Management Senior Executive Program and Institute of Corporate Directors [ICD.D] program. He is an Honorary Member of both CSPG and AAPG, a Fellow of Geoscientists Canada, and an Honorary Fellow of Engineers Canada. García Luna started his career in intelligence at the Centro de Investigación y Seguridad Nacional (Center for National Security and Investigation, CISEN) in 1989, where he was responsible of Counterintelligence and Terrorism. In 1998, became the Coordinator General for Intelligence of the Preventive Federal Police, where he designed the conceptual framework for intelligence areas and their executive integration. In 2000, he was named Director for Planning and Operation for the Federal Judicial Police, where he began a re-engineering process for the agency. This process made way for the Federal Investigation Agency. In 2001 was designated founder and Director General of the Agencia Federal de Investigación (Federal Investigation Agency). Under his lead this agency received the INNOVA 2005 award for its practice of “Real-Time Kidnap Investigation”, and the ISO 9001:2000 certification for 33 of its procedures in different areas. 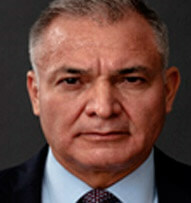 In April 2011, Garcia Luna became president of the XXVIII International Drug Enforcement Conference (IDEC). He is the author of “Contra el crimen: ¿Por qué 1,661 corporaciones de policía no bastan? Pasado, Presente y Futuro de la Policía en México” (Against Crime: Why 1,661 police forces are not enough. Past, Present and Future of Police in Mexico), and “El Nuevo Modelo de Seguridad para México” (The New Security Model for Mexico). He finished his master’s degree in Business (MBA) from the University of Miami in May, 2015. He holds a B.Sc. in Mechanical Engineering from the Autonomous Metropolitan University (UAM) and a Diploma Course in Strategic Planning at the Accountancy and Administration Faculty of the National Autonomous University of Mexico (UNAM). His training includes specialization from security and intelligence agencies in the United States, Spain, Israel, France, Colombia and Japan. On December 1, 2006, García Luna became Secretary of Public Security of México. In 2014, Texans overwhelmingly re-elected Senator John Cornyn to represent them for a third term in the U.S. Senate. Since he was first elected in 2002, Sen. Cornyn has earned a national reputation as an articulate and powerful voice for Texas and conservative values in Washington. Sen. Cornyn, a San Antonio native, strongly believes that we need more Texas solutions in Washington, which is why he consistently fights to bring the Lone Star State’s commonsense solutions to the federal level. He has committed himself to strengthening our national defense, securing our borders, repairing our broken immigration system and strengthening the economy by keeping taxes low, reducing federal spending, and fighting job-killing regulations from Washington bureaucrats. Sen. Cornyn has also been a tireless advocate for Texas military personnel, veterans, and their families, and he has fought to provide these brave Americans with the best possible support, care, and benefits. In addition to serving on the Senate Finance, Intelligence, and Judiciary Committees, Sen. Cornyn serves as the Majority Whip, a position that gives Texas a powerful seat at Congress’ leadership table. Sen. Cornyn has served the people of Texas for the last three decades, first as a district judge and later as a member of the Texas Supreme Court and Texas Attorney General. He received his undergraduate degree from Trinity University, his law degree from St. Mary’s School of Law, and his LLM from the University of Virginia Law School. 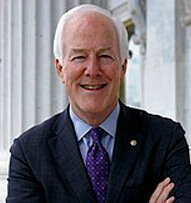 Sen. Cornyn married his wife Sandy in 1979, and they have two grown daughters.